Adliance's Portal technology allows local businesses to achieve top-of-search using portals on sites like Google at a low cost. 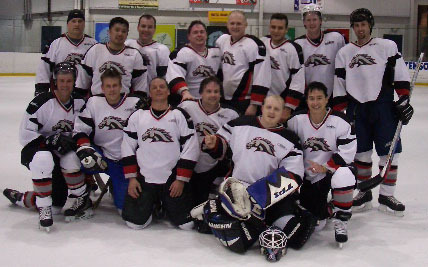 Adliance was founded by Greg Landrum in 2009 in an ice hockey locker room full of Seattle Chiropractors. They realized that they were spending way too much money online trying to compete with each other and the rest of the 700+ chiropractors in the area. We solved their problem with our very first portal. We now offer over 30,000 portals over 400 cities. Our pioneering technology allows us to offer portal members an efficient, instant way to achieve effective marketing placement above all the competition. Without Adliance, a typical business will spend 7 times more for poor results when trying search engine optimization(SEO)/advertising/marketing. Adliance allows our portal members to avoid high costs, inefficiencies, and delayed results. With Adliance, portal members instantly bypass the hassle and instantly arrive where new customers are. Adliance is a top-of-search portal service. Contact us @ (253) 269.6888 or click here. About $12 per day. You won't find that anywhere else. Do you charge for clicks? No. We offer a flat monthly fee. Do you charge a set up fee or any hidden fees? There is a 6-month commitment depending on your portal. There is no fee to cancel if you provide a 2-month notice. Month to Month. Your credit card is charged monthly from the start date until you cancel. Do I need a website to use your service? No. You only need email & phone. Customers can contact you via the portal site. How long will it take for my account to be active? Your display will go live within hours of ordering. Can I select my own key words that the portal advertises with? Please make suggestions. We target the high-traffic keywords. "Awareness is 90% of the Cure." For 10 years, Adliance has been developing technology & procedures to minimize advertising losses. Local Advertising is a Myth. Advertisements display up to 25 miles away from your business 75% of the time. 25% of the time those ads display greater than 25 miles away. A person clicking on an advertisement will be in the neighborhood of the business only 4% of the time. Businesses that advertise online are misled into thinking that their advertisements will be seen in a small local area as seen on a map. Why Local Advertising is a Myth. A Personal Computer (PC) connects to the Internet through a an ISP (Internet Service Provider). Geo-Mapping is so weak that it can only place a PC somewhere within a 50-mile circle and no better only 75% of the time. The remaining 25% of the time the PC is beyond this circle. Myth: People click my ads. Truth: Programmed computers do too. Myth: My ads display in the area on the map I built at my advertising company's website. Myth: My ads display when someone searches the city name & keywords I prescribed. Truth: They do display as prescribed AND in every other city of the same name in every other state. Myth: My ads display when someone searches the keywords I prescribed. Truth: They do display as prescribed AND under every synonym of the keyword. Myth: I can set my ad budget to spend to what I want per month and effectively advertise. Truth: Only the highest budgets get premium ad placement consistently. Small budgets get poor quality clicks on secondary networks and/or display low on the page making your keywords prone to fraud clicks. The online advertising industry ignores these issues. To fix them would cost billions in lost revenue. Is it fraud or oversight? You decide. Synonymic Loss - Occurs when the advertising site changes your keywords into words or phrases of similar meaning, but of no value to your ad campaign. Ad sites do this expand their revenue. If you advertise the keyword "water damage", expect ad sites to show your ad when someone types "water spots", "bad water taste", "flood damage in India", "waterproof table coaster". Distribution Loss - Occurs when your ads display on Google/Yahoo partner websites where the content is mainly recycled advertisements that deceivingly appear as legitimate content. Business.com and thousands of others are great examples of Distribution Loss racketeering. Geo-Nexus Loss - Occurs when your ads display outside an area you reasonably intend or prescribe. If an advertising site allows you to select your city by map or zip code, they allow you to assume that your ads would be displayed only in that near area. It is simply not possible to narrow ad distribution online in an area less than 25 miles. See Over-Targeting issue #1 above. Repeat Click Loss - Occurs when your ad displays multiple times on the same computer and gets clicked on multiple times. It’s often performed by competitors performing multiple clicks to cost you money. The ad sites know how to stop this loss instantly, but doesn't.